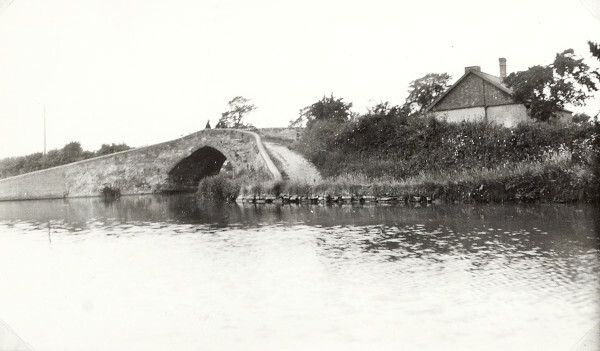 "Kingswood Junction to Stratford Canal"
Black and white photograph taken at Kingswood Junction showing a bridge over the canal. Taken from the opposite side of the canal looking across the water, there is a house to the right of the bridge. This photograph is on page 106 of the C N Hadlow photograph album.